Email marketing is one of the best tools at your disposal to keep your audience engaged, promote your products, and drive traffic back to your website. Getting started with email marketing does take some time, but it’s well worth the effort. More importantly, the sooner you get started, the more benefit you can get out of your email list. Choose an email marketing service. 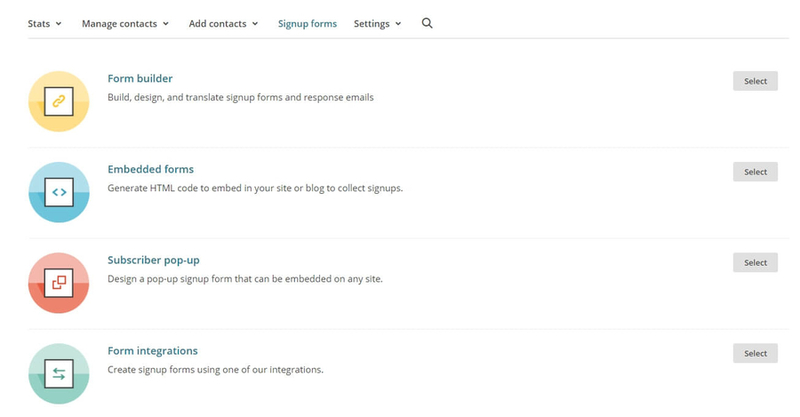 Build an opt-in form and add it to WordPress websites. Automate the rest of your campaign. Emails are a powerful tool if you know how to take advantage of them. Let’s talk more about why that is! You’ve probably noticed that most websites you visit ask for your email address at one point or another. If you provide that address, they’ll usually add you to a list of emails and begin to reach out to you periodically. Some websites will send you discount offers, others will inform you about updates or new products you might be interested in, and so on. The process of collecting emails and using them to increase conversions or traffic is called email marketing. However, tackling email marketing in WordPress is not as straightforward. WordPress enables people to sign up to your website, and the platform is capable of sending automated emails out to those users. However, those emails are mostly related to the users’ accounts. For example, when you sign up for a new website, you’ll usually get an account confirmation email. Those types of messages are called ‘transactional’ emails. While WordPress is capable of sending transactional emails, it doesn’t include email marketing capabilities out of the box. This means that if you want to collect emails for marketing purposes, you’ll need to use a third-party solution. While this requires a bit of effort, it’s well worth the time spent in the long run. You can compile a list of subscribers. In most cases, the people who sign up to your mailing list will already be interested in your content, so they’re more likely to convert at some point if you keep in contact. Marketing emails can help lead traffic back to your site. An email now and then can remind your subscribers about your website, so they’ll come back for a second look. You can get more conversions. Just sending a quick email can be enough to net you a few additional sales, especially if you’re promoting a product or a service. To be fair, tackling email marketing in WordPress does involve a fair bit of work. You need to come up with new campaign ideas, test them out, and make sure you’re effectively engaging your subscribers. However, many modern email marketing platforms enable you to automate a lot of that process. These days, you can create emails in advance and schedule them to go out later, thanks to automation. You can even configure triggers for specific emails. For example, you can create a ‘welcome’ email that is sent automatically when someone new signs up to your mailing list. Overall, there are a lot of upsides to using email marketing in WordPress. At this point, you’re probably wondering how to actually get started with email marketing in WordPress. Therefore, let’s talk about how to set everything up. Before you can create your first WordPress email marketing campaign, you’ll need to choose which platform to use. Nowadays, you have a lot of options when it comes to email marketing platforms. These services provide you with the tools you need to set up email lists, manage your subscribers, create campaigns, and send out messages. Those are just the basics, though. 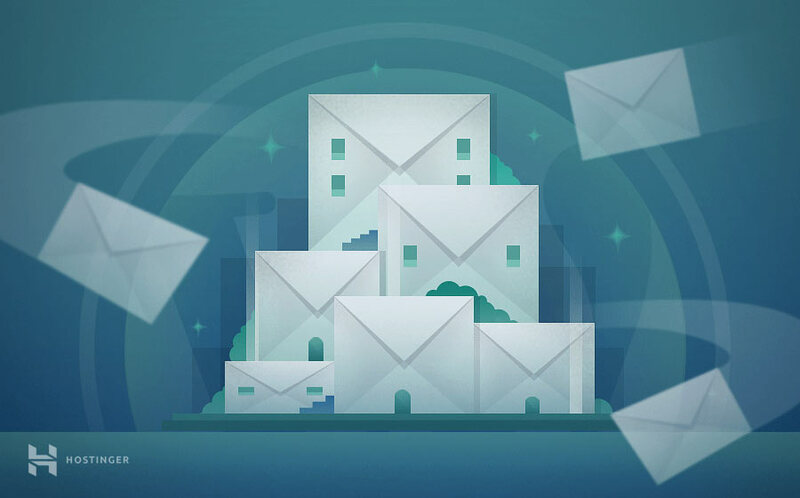 You can also find email marketing services that provide you with advanced features, including email automation, A/B testing, user segmentation, and much more. Moreover, MailChimp also enables you to automate your campaigns, even on its free tier. You can even target segments of your users with specific messages. These features make this an excellent option if you’re looking for a budget email marketing service. The downside is that all these extra features come at a cost. To get access to this functionality, you’ll need to pay $45 per month for Constant Contact’s basic Email Plus plan, which supports up to 500 subscribers. Due to this price tag, we recommend this platform mainly if you’re running a website you’ve already monetized, or if you have a flexible budget. The downside, in this case, is that you don’t get access to a lot of advanced tracking and reporting features. 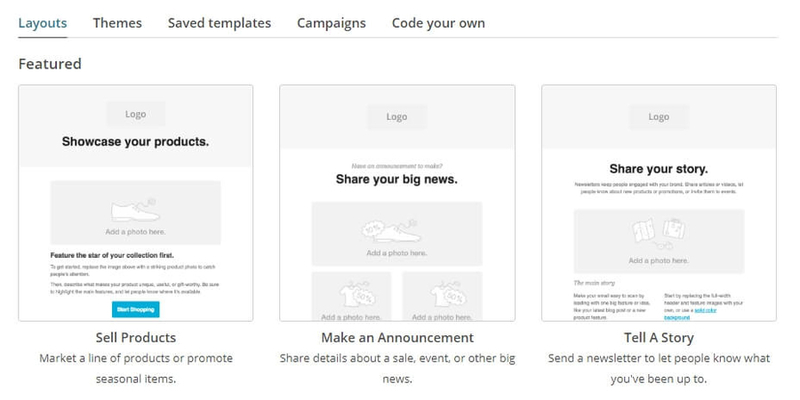 However, the platform works perfectly for sending basic messages, and it features an easy-to-use campaign builder. Ultimately, if you’re looking for a budget option, we recommend that you try both SendinBlue and MailChimp and stick which whichever one you feel more comfortable with. For the purposes of this tutorial, we’re going to use MailChimp. In the next sections, we’ll show you how to use this platform to tackle email marketing in WordPress. However, the same basic process applies regardless of the solution you choose. At this stage, you’re ready to get started with email marketing in WordPress. This means creating your first message. Clicking on any element also gives you the option to duplicate it or delete it. Take a few minutes now to get acquainted with this editor and get to work on your welcome email. When it’s ready, click on Save and Continue at the bottom of the screen. That’s it – your welcome email is ready to go! 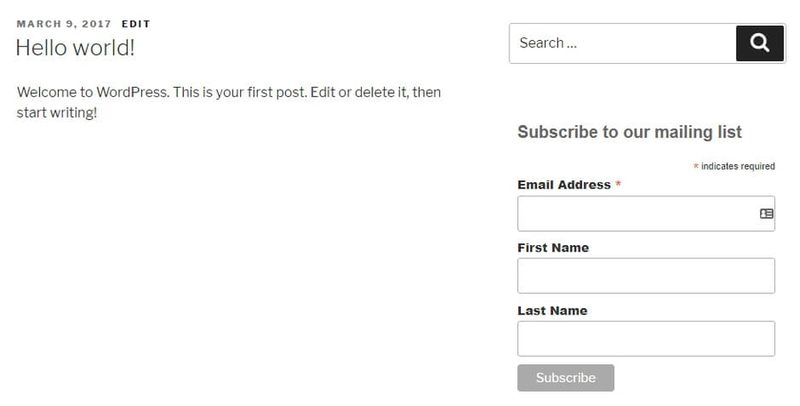 You’ve just taken your first step into email marketing in WordPress. Now, we recommend that you take a little time to set up a few additional automated emails. That way, you won’t have to come back to create and schedule new messages every day. Now, all you have to do is repeat the same process from the previous step. That means choosing a trigger, and editing the contents of your email to say whatever you’d like. You can add as many emails as you want to your welcome series. What most websites do is use this opportunity to help subscribers learn more about what they offer, and to explain why continuing to subscribe to their emails is a good idea. If you don’t want to build an extensive welcome email series, however, you can also set up an entirely new campaign. To do this, return to the Campaign tab and click on Create an Email once more. You can read more about this process in MailChimp’s knowledge base, and learn about the other types of campaigns you can set up through this platform. With email marketing in WordPress, the possibilities are nearly endless. So feel free to experiment with new types of campaigns! 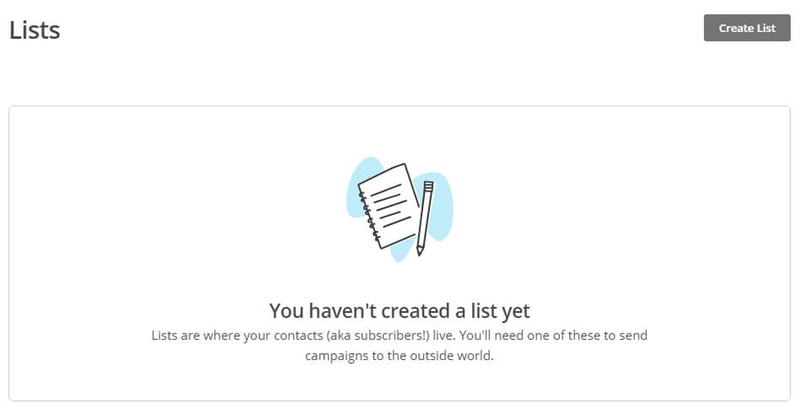 There’s a reason so many websites want you to sign up to their email lists. Email marketing is an incredibly powerful tool to keep your audience on the hook and get more conversions. If you’re running a WordPress website and you don’t have an email marketing solution set up, you’re missing out on a lot of potential benefits. Fortunately, there are many platforms you can use that integrates seamlessly with WordPress, such as MailChimp, Constant Contact, and SendinBlue. Do you have any questions about how to tackle email marketing in WordPress? Let’s talk about them in the comments section below!